Are You Forging Paths of Friendship? I said good-bye to a home of eighteen years this week. During my last walk through an empty home in which even my footsteps echoed, I opened the door to each empty room and thanked God for whatever came to mind. When I opened my son’s room – our surprise child who arrived ten years after twin girls – I thanked God for the gift of being able to paint a bedroom blue. In another bedroom I thanked God for baby dolls, stuffed animals and Gus (a pet lizard). In my office I thanked God for a book He and I wrote together. The final task was to take the dogs for a final walk in the backyard. There I was, walking on my plot of land for the last time, reflecting on whether I was leaving well. My relationships with the neighbors changed drastically a decade ago when I became a middle-aged mom and also started working full-time. So there I was, wondering if I had done a poor job of developing relationships in the neighborhood when I saw them. Two paths. One on each side of my yard. Physical evidence that indeed, I was leaving my neighborhood having forged relationships with at least the two homes between which I have been sandwiched for so long. 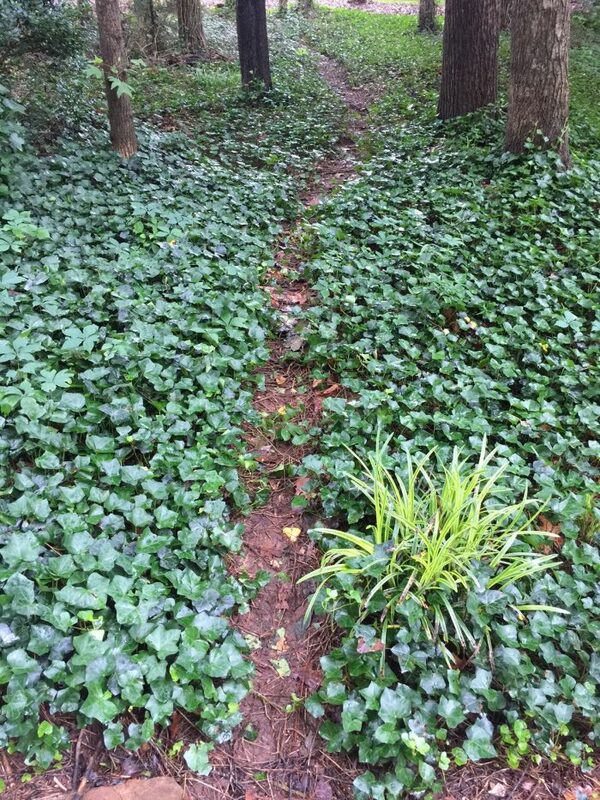 This vine-covered dirt thread was carved years ago when the boy next door made his way back and forth between our house and his, and our daughters did the same. Those kids have grown up but enough activity has remained between the homes to keep the path alive. These steps that now spill out into our neighbor’s driveway were not yet built when our family moved in nearly two decades ago. 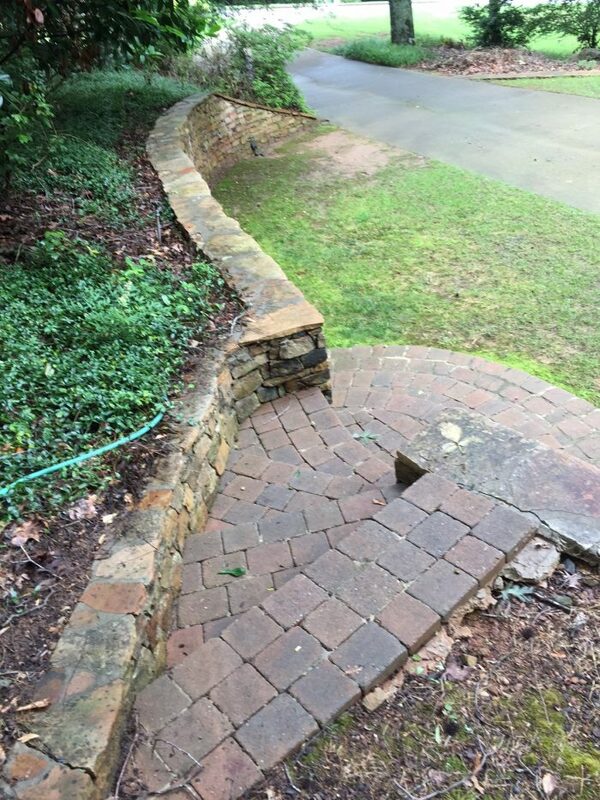 I spent so much time jumping over the wall between the homes, however, that when the time came to do some additional stone work, my neighbor actually built a set steps for me. I know. Really cool, right? God was kind to let me notice these paths during the very last minutes on my property. Meaningful relationships had been forged after all. There are more, but these two lasted well to the end. I will miss all of them: my direct neighbors, my bus stop neighbors, the annual catch-up at the neighborhood Christmas tea, the chats on the street as we passed by each other and stopped for a while. Great people. Every one. Now it’s time to forge new paths of friendship on the next plot of land where our family will live. Do people know the way to our front door? Is anyone making regular treks to our home? Are there some people who enter through the kitchen or mud room door instead of the front door, indicating a more personal relationship? Do some people have a key? These answers can help us all evaluate how well we are doing at being lights for Christ wherever we live by loving our neighbors. Let’s pray for paths that lead into our homes…into our lives…into our hearts. Invite someone over this week.